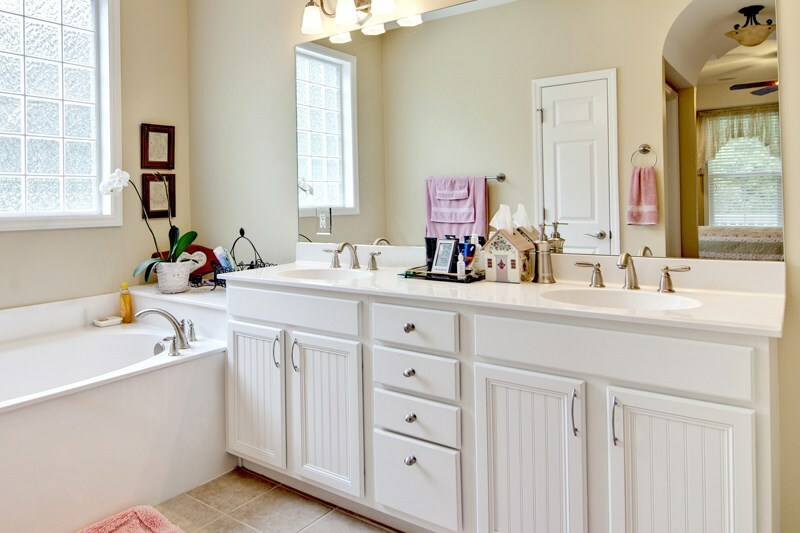 Choose from a multitude of options when replacing or updating your bathroom cabinets! 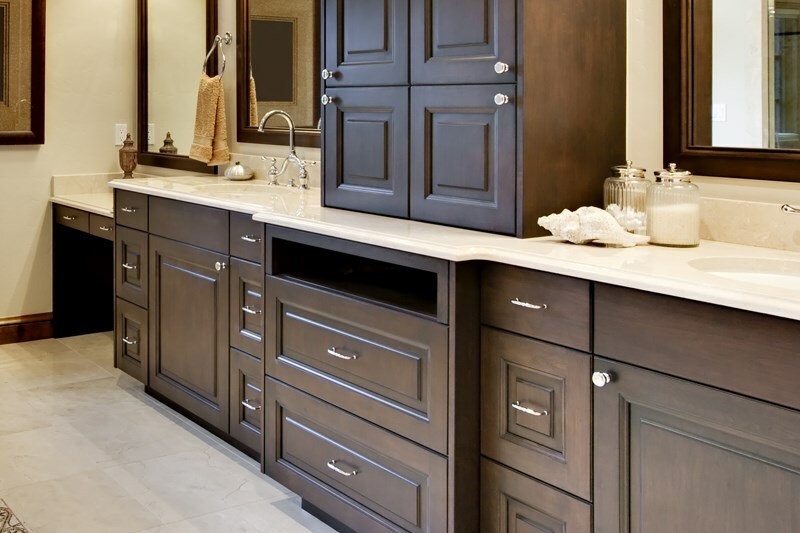 After years of use, bathroom cabinets can become scratched, dark, and grimy. This is certainly not a fixture you want to store toiletries in! 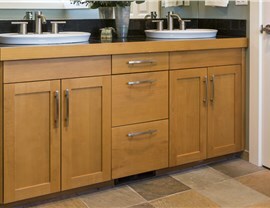 Update your bath with Phoenix cabinet replacements from Reliant. Our company takes the time to help you pick the perfect fixtures to match the rest of the room. We can even provide custom finishes and hardware for a truly original design. 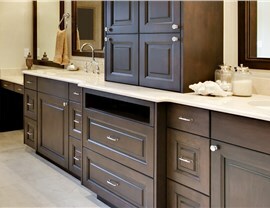 Your bathroom deserves a unique look when you choose to upgrade those old Phoenix bathroom cabinets. To this end, Reliant has plenty of restoration technique and style options for when you want to replace a bathroom cabinet. Our expert contractors help you pick the best method to update your space and provides a selection of designs, styles, and colors. What are your options with Reliant? Resurfacing & Staining: Save money by having us sand down and re-stain or paint your existing cabinets. New Countertops: Order a replacement countertop for your vanity to change the appearance and lower maintenance needs. 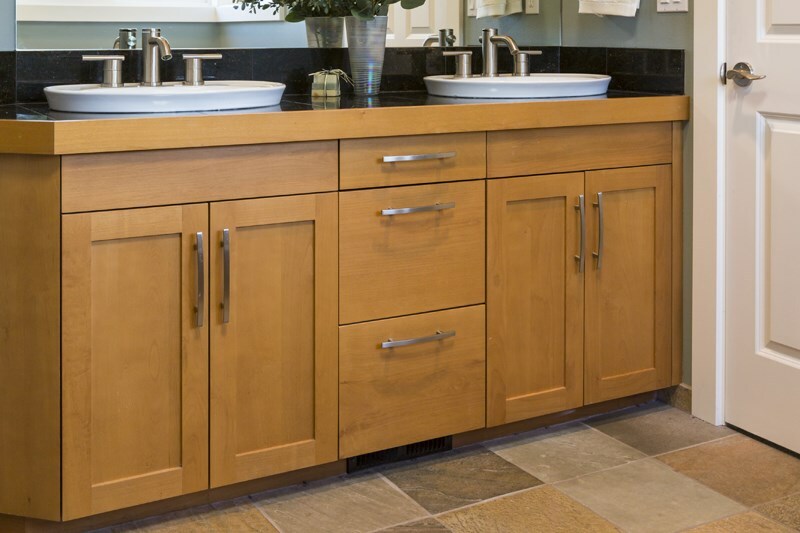 New Cabinet Doors: Make a quick change with new bathroom cabinet doors in glass, wood, or a contrasting color! 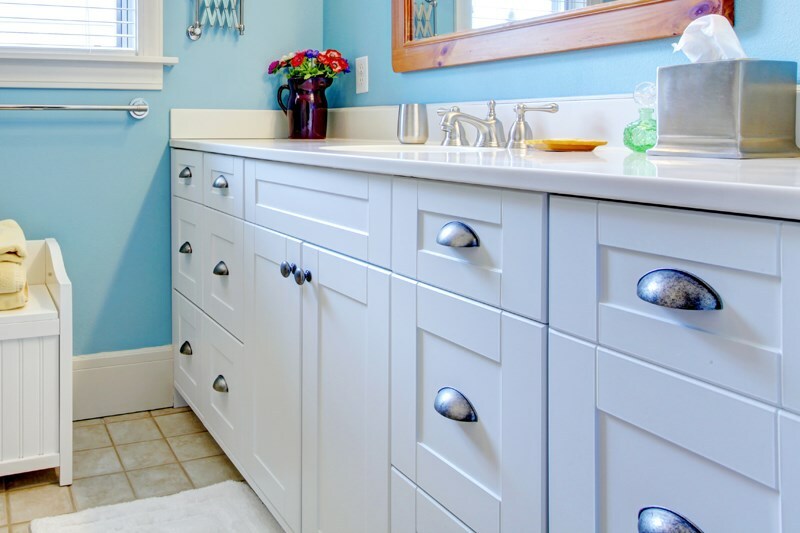 Complete Cabinet Replacements: Give your bathroom a whole new look with replacement cabinets. 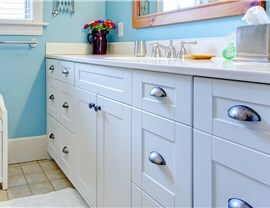 We can even reposition the bathroom cabinets to a different spot. Get an Accurate Price Quote on New Bathroom Cabinets! Our company knows that the bathroom is one of the most frequently used spaces in the home. 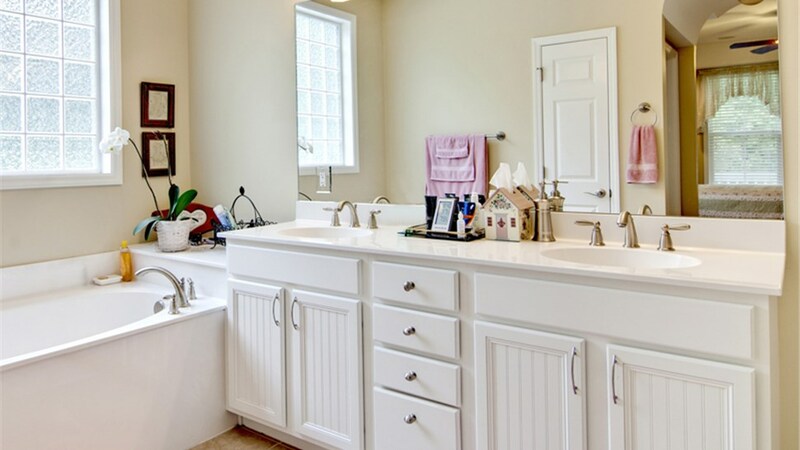 Make it a place you enjoy spending time with new bathroom cabinets. When you call us or fill out the online form, we'll be happy to provide a free, no-commitment necessary price estimate!